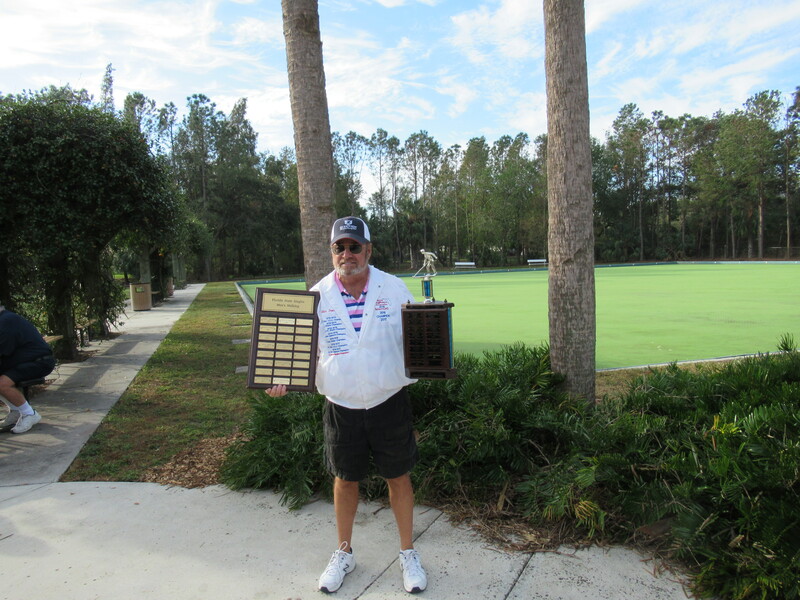 Al Dronsfield Speaks to us from Leesburg: Well here we are in the middle of summer and looking for things to do, certainly things that may be on the cooler side here in Florida. Sometime ago I started doing clinics on Sunday’s for those that wanted to take their games to higher levels, many have benefited, and the rewards for myself have been great watching them excel. Yes the numbers raise and fall as the snowbirds fly north and leave our numbers on the lean side. We’ve also been favoring the frame games since April but had just turned that around to get ready for Oct. so the 75 points games have begun. I disc are being reworked by Walt Bartels so thru the summer we’ve been using our Air Disc that we have on hand. 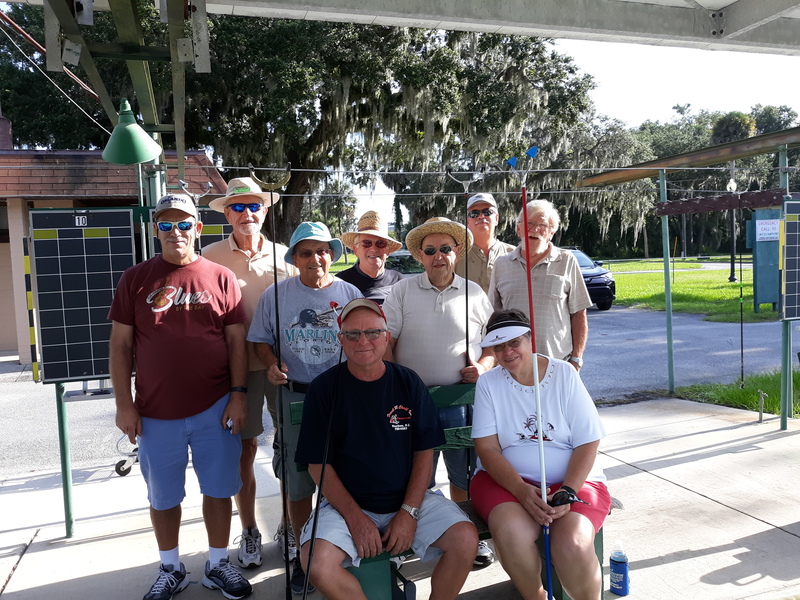 This morning we had 10 of us show up and not shown in the picture is Vern Ivey who has been one of the regulars and myself the camera man. I thank them all for showing up as a few are working hard on their spot shooting games and another on his charting, he being a newer player. All are welcome, as we get together and begin play at 9:00 each Sunday. This also gives those of us heading to the Central District each Monday a little practice to keep us up to speed.